2019 VaporFi Rocket 3 Review - Is It Worth It? It's getting increasingly more confusing to pick a vape pen with all the options these days. The Rocket 3 can easily get lost in the fuss. In my opinion, this is a device that shouldn't be overlooked. It's one of the best options for you if you're looking to get an introductory sub ohm device or make the switch. It has tons of useful features and is fairly easy to use. It has a top-fill tank, easily replaceable coils, and produces some high quality vapor. The first thing I thought when getting picking up the Rocket 3 was, ‘This is a well-machined device.' The build quality is pretty good. A lot of times devices with a good build quality are heavier, which isn't the case for the Rocket 3. It has a good weight to it, but I don't think it's heavy for its size by any stretch of the imagination. I've had two Rocket 3s. I bought the first one myself and the second one was sent to me months later. My first Rocket 3 was red and it was my go-to device at the time. I loved it because it was so much more versatile than all my other starter pens. It felt like a premium starter pen, which I think is a fair classification. 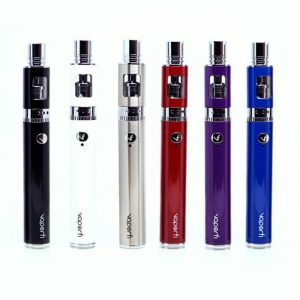 It has features that most starter pens simply cannot compete with, like variable wattage and temperature control. Some starter pens don't even have adjustable airflow. The Rocket 3 has all of the above and a nice big 3.5mL tank. The average tank on a starter pen is about 2mL. 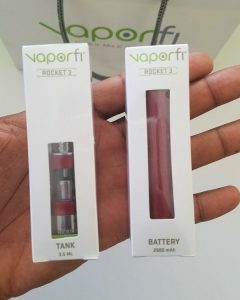 Get the Rocket 3 directly from VaporFi.com. The Rocket 3 is one of the only starter pens with variable wattage. It's a feature most companies don't invest in, but I think it makes a big difference. It helps you customize the vapor to your liking. 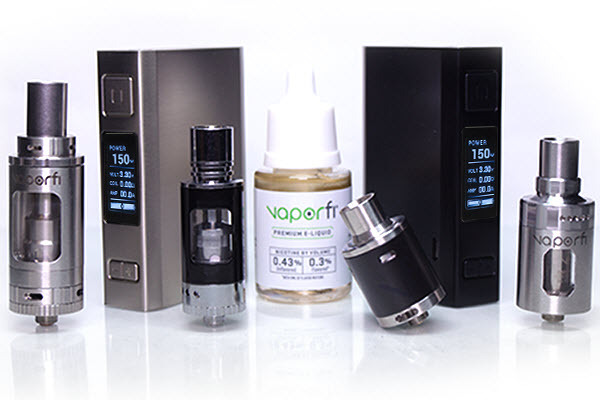 This device comes with three different wattage settings, 30, 40, and 50W. To change the settings, just press the fire button three times. You will see a light flash around the fire button, indicating what setting you just changed the device to. Red is the lowest setting at 30W. White is the middle setting at 40W. And green is the highest setting at 50W. To put that into perspective, I vape on my advanced mods at 50W to 70W. I rarely go above that unless I'm trying to chuck some monster clouds. This starter pen can hit the bottom of my range. That's pretty good output for something as easy to use as a starter pen. With most advanced mods, you'll have to learn battery safety, battery maintenance, and get an external charger to charge your batteries safely. You don't have to worry about any of that with a starter device like the Rocket 3. The temperature control (TC) works much like the variable wattage, with the only difference being the atomizer. To utilize the TC, you have to put the Ni200 atomizer in the tank. When the atomizer is in the tank, the red/white/green lights indicate 400°F/500°F/600°F instead of indicating the wattage. The Rocket 3 is more of a high performance device for it's class. Having variable wattage, temperature control, and sub ohm atomizers definitely sets it apart. The two atomizer options are 0.5 ohm and 0.1 ohm. Both of these atomizers perform well, but will give you very different experiences. The 0.5 ohm atomizer will give you less vapor, but you may find that you like the flavor better with that atomizer. If you want to chuck bigger clouds and enjoy the temperature control feature, then the 0.1ohm atomizer should be your go-to. I was surprised by the amount of vapor this pen can generate. You will be able to produce enough vapor to blow big clouds and do vape tricks. I wasn't expecting that from a starter pen because it's not what they're made for. With this device, it's an added bonus. The flavor coming off this pen is pretty good, but not overwhelmingly so. Compared to other beginner devices, it definitely is up there with the best. But to get the best flavor possible, you'll have to use some more advanced gear, like an RDA. Overall, I think the Rocket 3 is in the top of its class. It's durable, feature packed, and produces some pretty good vapor. It's a pretty consistent and reliable device and make for a good daily vape. The Rocket 3 is pretty portable. It's not as small as an e-cig or some beginner pens, but it's small enough to fit in your pocket or purse. In a pair of tighter fitting jeans, it will have a little bulge. In a lot of pants or jackets it will fit just fine without a problem. One of the most important things you'll have to do with every new coil you install is to prime it. Priming the coil is basically a fancy way to say, saturating the cotton with e-liquid. Most coils have cotton in the center. It's what holds the e-juice around the heating element. If you don't saturate the coil before vaping, you can burn the cotton. To prime the coil, drip three to five drops of e-juice directly on to the cotton. Drip one or two drops on each wicking hole and one or two drops on the cotton exposed at the top of the coil. If you don't want to do that, then you can just fill the tank with e-liquid and let it sit for 10 to 20 minutes. Even if you drip the e-liquid directly on the cotton, it's still a good idea to let it sit, full of juice, for 10 minutes or so. This ensures that you won't burn the cotton. If you burn the cotton, the atomizer will give off a burnt taste forever. The Rocket 3 is a solid device that performs very well for a pen-style device. It's easy to pocket and has a nice sized battery that will last you all day. This device is one of the top devices I recommend for beginners. 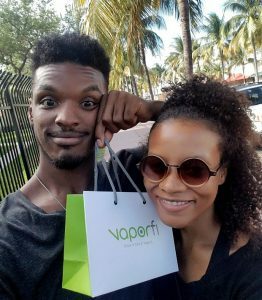 It's an easy way to get introduced into vaping or to transition from standard e-cigs. You'll find the adjustable airflow and variable wattage particularly useful in customizing the feel of the vapor to your liking. 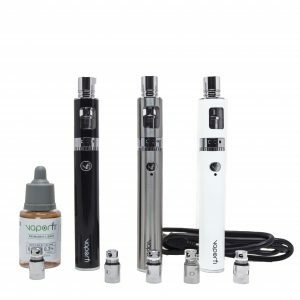 You can get the Rocket 3 directly from VaporFi.com.